Goddess of misery, anxiety and depression. 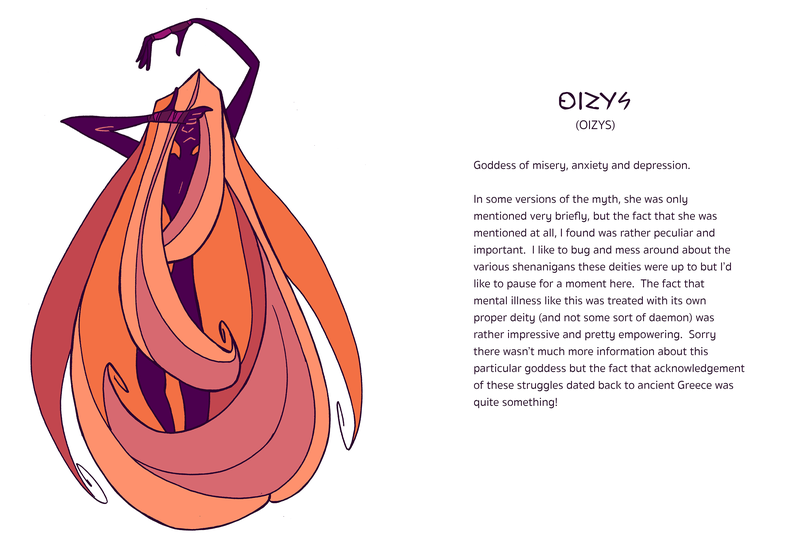 In some versions of the myth, she was only mentioned very briefly, but the fact that she was mentioned at all, I found was rather peculiar and important. I like to bug and mess around about the various shenanigans these deities were up to but I’d like to pause for a moment here. The fact that mental illness like this was treated with its own proper deity (and not some sort of daemon) was rather impressive and pretty empowering. Sorry there wasn’t much more information about this particular goddess but the fact that acknowledgement of these struggles dated back to ancient Greece was quite something!